At some point in our lives, we've all heard rumors about secret menus at our favorite fast food restaurants. 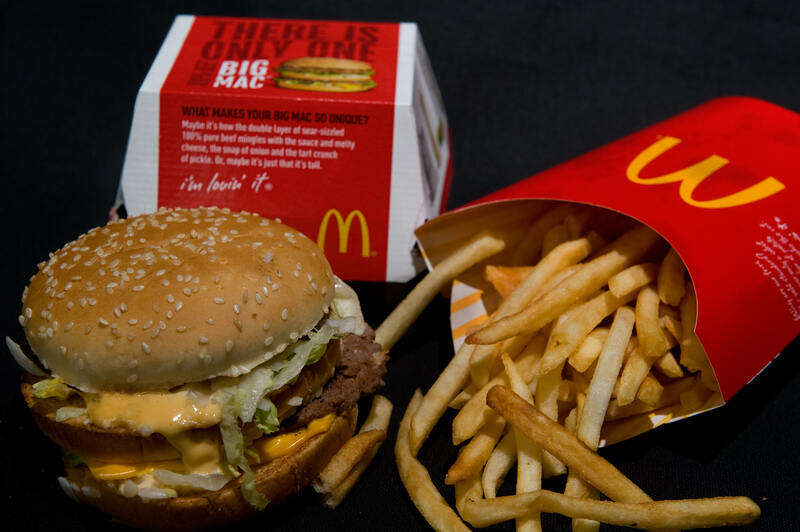 Which is why this one is so exciting: Allegedly, a McDonald's secret menu exists. The knowledge of secret menus such as this one separate the true fast food connoisseurs from the dilettantes. They indicate such a degree of familiarity with a menu that one not only has her favorites from the standard options, but also has the wherewithal to mix and match ingredients from across the menu to innovate. Nothing says "I'm a professional" like being able to dream up your own fast food creation from the existing options available. The news about the secret menu comes courtesy of an "Ask Me Anything" Reddit thread, in which someone claiming to be a McDonald's manager (who has mysteriously disappeared from Reddit in the past 24 hours) responded to a variety of pressing queries about the secrets buried in the fast food chain. Redditors flocked to the thread, which at this point has over 4,700 comments, in order to ask questions about McDonald's' ingredients and policies. It was a rare opportunity for laypeople to get behind the scenes of one of the most well-known fast food operations. Although the original poster has become anonymous in light of her thread blowing up, we do know some basics about her (or at least, about who she says she is). She claims she is a 24-year old shift manager from Scotland who worked at McDonald's for three years throughout university, and then stayed on as a manager after she graduated. This horrifying sandwich has a beef patty, a filet o' fish, and a McChicken patty. It costs $8.49 if you use a Big Mac, or $5.49 if you use a McDouble. Easily a contender for best name on the secret menu, the Big McChicken is something like the KFC Double Down. The sandwich features either Big Mac or McDouble beef patties in between two McChicken patties, and costs $6.99 (with a Big Mac) or $4.00 (with a McDouble). It's called the 10:35 because you can only order it between 10:30 and 11am, when the breakfast menu is switching over to lunch. The Mc10:35 involves putting McDouble patties in a classic Egg McMuffin, and costs $3.49. This one might be kept secret for a reason: It's a Big Mac with eight patties, and such a deeply upsetting phenomenon can be yours for only $6.49. Perhaps the most upsettingly named item, the McGangBang is probably the most well known off-menu item at McDonald's: It's a McChicken wedged, buns and all, between a McDouble. It's particularly cost-effective, at only $2.00, but does anyone else wish whoever came up with it had given it a different name? Because seriously, that's the worst. You can only get a McCrepe during breakfast, but if you're feeling like a gourmet McD's treat as an appetizer for your McLobster later, all you have to do is get them to put a fruit and yogurt parfait on your Hotcakes. I'll admit that it sounds like a soggy mess to me; but it's actually gotten rave reviews along with its super classy name. It costs $3.49. Hold the phone, stop the presses, do all of those old-timey expression activities, because this is big: If you ask nicely, you can get pie blended into your McFlurry. Game over. It costs $2.69 for a Snack Size or $3.39 for a Regular — which, if you think about it, is a small price to pay for true love.